Green tea is very popular and has a reputation for its many health benefits. It contains polyphenols which are said to have anti-cancer properties. These substances have been found to kill off cancerous cells in the human body and prevent their spreading. In spite of polyphenols’ ability to do this, they leave healthy cells completely unharmed. Green tea is also believed to be an effective preventative weapon against blood clots along with well documented cardiovascular benefits. 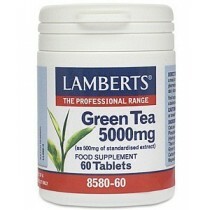 Another popular benefit of green tea is its ability to prevent inflammation. Taken daily, some people find that it helps them avoid headaches and muscle aches. It also helps keep the immune system healthy so that green tea drinkers are less susceptible to cold and flu viruses. Green tea has also been said to help with weight loss because many people believe it boosts the metabolism to keep it running as efficiently as possible. It is a tasty and soothing drink, making these health supplements easy to incorporate into a daily lifestyle.